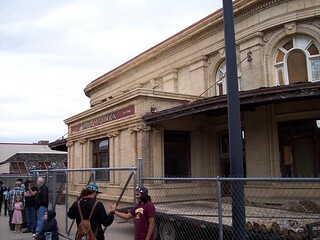 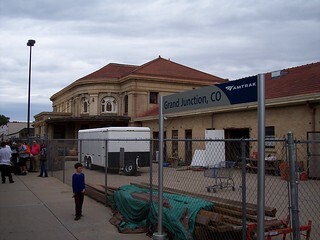 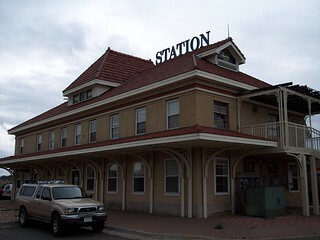 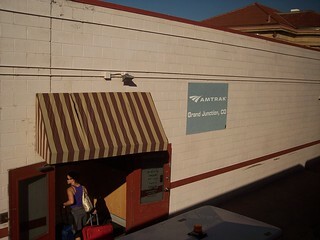 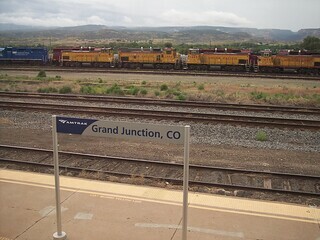 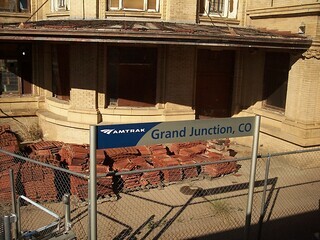 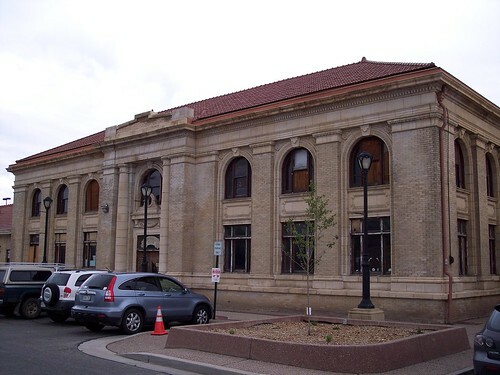 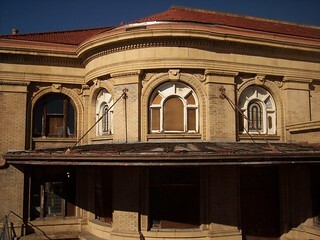 The former Union Depot at Grand Junction is now vacant, but the current platform is still behind the old depot. 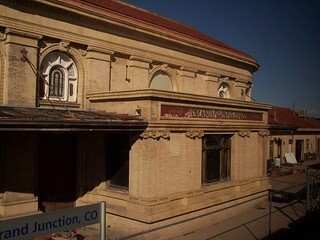 The track side of the former Union Depot. 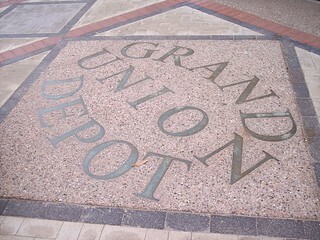 Grand Union Depot on the sidewalk in front of the old station. 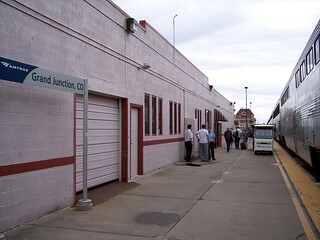 The neighboring former D&RGW station is occupied, but not used as the Amtrak station. 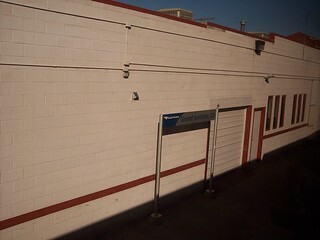 The track side of the current Amtrak station. 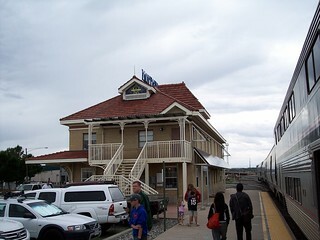 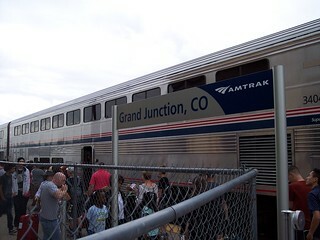 The California Zephyr making a stop at the station.